Ordina is the largest independent services providers in the field of consulting, solutions and IT in the Benelux. We believe in the power of ICT. For people. We are - and have been - committing ourselves to that purpose. Ordina has been active in the Netherlands since 1973, first as a subsidiary of the French Ordina. Our name hints at our French roots. A name that is closely related to the French word for computer: ordinateur. A subsidiary of Société Générale, SG2, took Ordina over from the French holding company in 1983. After a management buy-out in 1985, Ordina became autonomous in the Netherlands. This marked the beginning of our strategic course to remain independent. 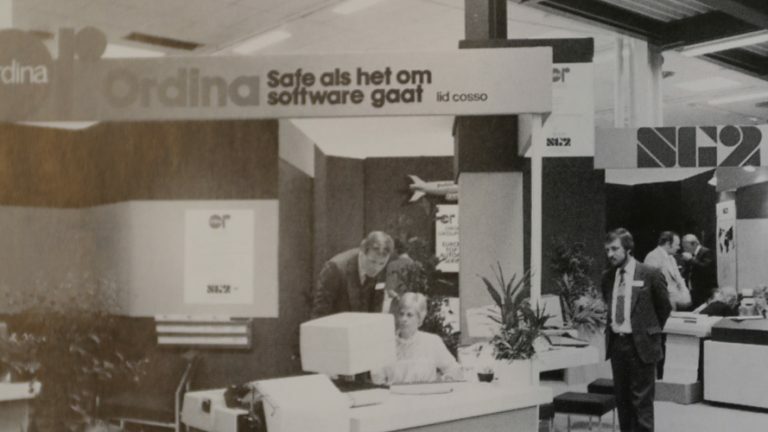 Ordina Belgium was founded in 1986 and Ordina was listed at the beginning of 1987. Soon after this, the first relatively big acquisition was made when the Integer Group was taken over. Once again, Ordina chose for independence and to remain active locally, in stark contrast to the large internationally orientated players. In the meantime the term IT became all encompassing, including all forms of communication technology as well. During the late nineties, the strong organic growth was combined with an impressive series of focussed acquisitions. Ordina’s portfolio was strengthened and expanded by acquiring High Tech Automation, CAE and PID, Utopics, ELC, Status Networks, Oasis, Panfox and subsequently Relan ICT amongst others. Ordina drafted more sector and domain knowledge in a bid to differentiate from its competitors and so the consulting expertise was born. After a 25-year stint as Chairman of the Board of Directors, Erry de Boer handed the reins to Ronald Kasteel in 1999. Ronald Kasteel had been involved with Ordina since the eighties. In 1999 and 2000 Ordina experienced exceptionally strong growth. Despite the competitors’ strong focus on increasing their scale and international orientation, Ordina with its local focus kept growing faster than the market. This meant increased interest from shareholders for the Ordina N.V. share and resulted in the inclusion on the Midkap Index on the Amsterdam Stock Exchange. The years 2001 up to 2003 were overshadowed by a strong economic decline which also affected Ordina adversely. Ordina was forced into two rationalisation rounds. Clockwork was acquired and in doing so Ordina strengthened its portfolio with online communication and applications. Rijnconsult was sold off in 2005. A number of acquisitions were also made such as Solidium, Finext, The Vision Web, Be Value and Infradesign and Innovity, that became part of Ordina Finance Solutions. Ordina’s market position improved. Redesigning the Head Office’s interior with the the theme ‘Dutch Design’ reinforced the positive work atmosphere and our Dutch character. A strong demand for IT Outsourcing and Business Process Outsourcing arose in the market. 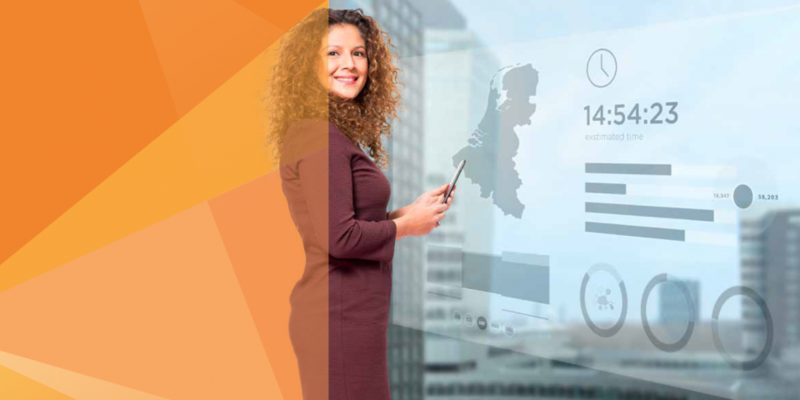 Ordina proved extremely successful in Application Outsourcing. In 1997, this reputation led to the conclusion of the biggest Application Outsourcing deal in Europe up to this point: the Rabobank deal. The division of services under the headings Consulting, IT and Outsourcing became a fait accompli. In 2009 it was decided to terminate the BPO service provision for the Financial sector, which had been set up in 2004, as no successes had been booked in this area. Technical Automation was sold off in 2008 and the participation Integer became autonomous after 23 years. In 2011, it was decided to sell Ordina’s participation Finext, in a move to further finetune the strategic course and the Group’s focus on delivering Consulting, IT and Outsourcing services. The credit crisis (from the summer of 2007) which sparked a widespread economic crisis has had far-reaching effects on IT service providers in general and Ordina was no exception in this case. Combined with the maturing IT sector and the changing demand amongst our clients, Ordina is re-evaluating a number of essential issues. Issues such as ‘what do we stand for’ and ‘what do we want to achieve’ are becoming increasingly important in order to remain relevant and to distinguish ourselves in the market. This has resulted in the Strategy 2010 – 2014 and in the renewed ambition and brand positioning: Connect to improve.